Whenever I go to the ocean or the coast, I’m always craving crab. Usually, this means ordering crab legs. But crab legs, though delicious, aren’t enough to satisfy my seafood craving. I need more – more than just the legs. The Vietnamese girl in me craves a good old-fashioned crab boil. 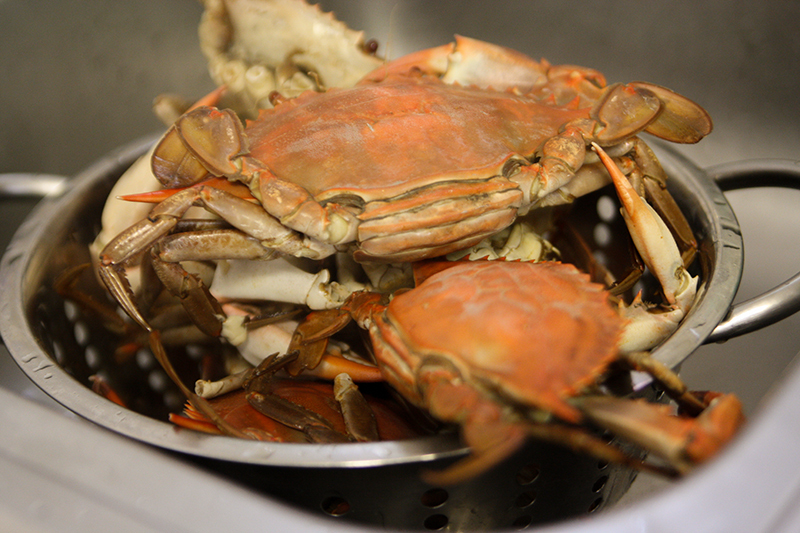 I grew up eating boiled crab . When I was little, after my family had moved to the United States, my mom would go to the Asian supermarket and bring home live blue crab. She’d boil it in the traditional way – with just salt and water. The family would feast, digging our fingers into every nook and cranny, even eating the inside of the shell that Americans usually discard. We’d make sure we got every little piece of crab meat, and it helped that our fingers were small enough to be able to get every piece out and into our bellies. 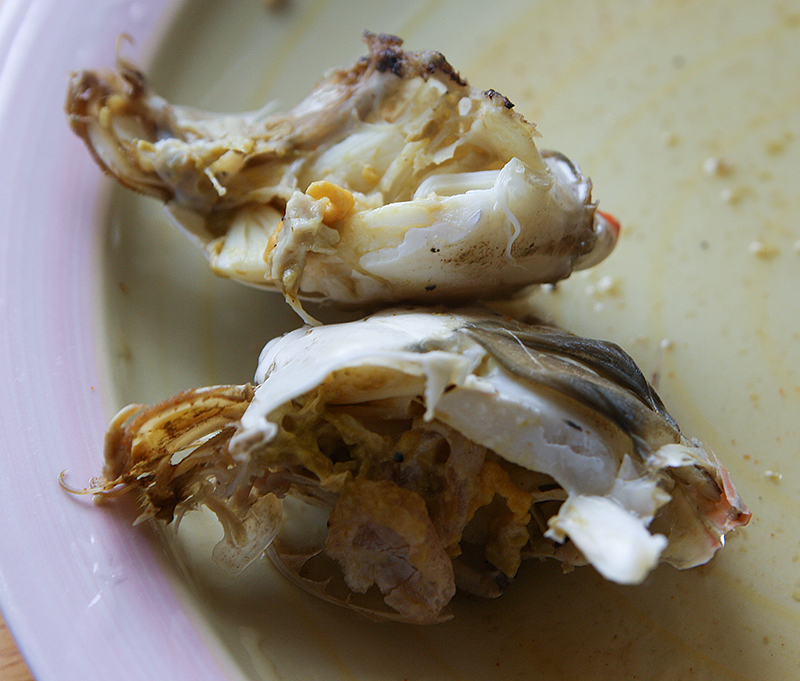 Now as an adult, from time to time, I crave eating blue crabs. Fortunately, for me, I live in a major city and have access to a large Asian supermarket. In the summer, there’s always live crab that can be found. 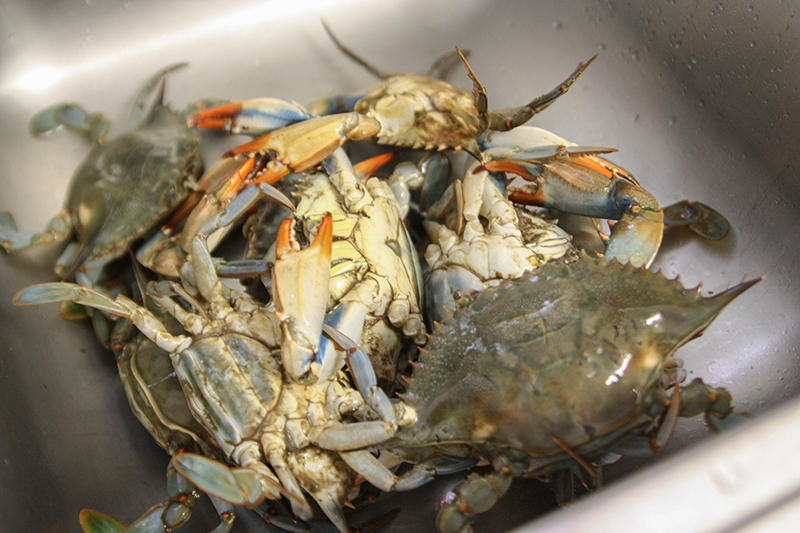 This weekend, I bought a little over 4 pounds of blue crabs to bring home. To add a little spice, I used a package of Louisiana Crab and Shrimp Boil. Oh, it makes your mouth burn, but it was worth every bite. 1. Twist off all the crab legs and claws. Use a lobster cracker to crack the claws and remove the meat. 2. 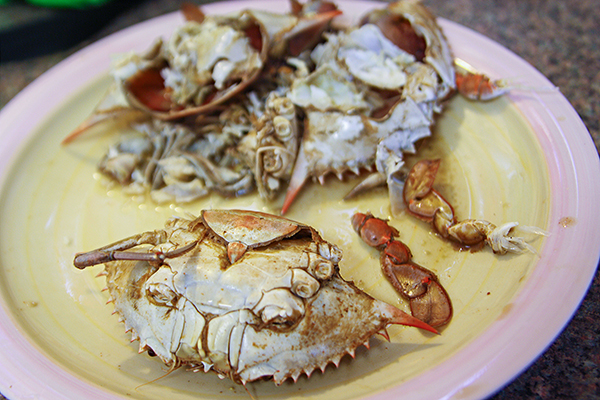 Turn the crab over and remove the tail flap (the apron of the crab). I use my fingers to pry it off. You can also use a knife to help you with this step. Discard the flap. 3. 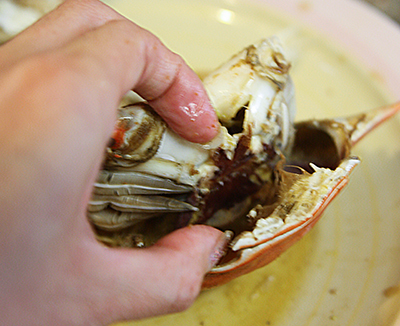 Using your thumb, pry open the top shell and remove it from the body. It should come apart pretty easily. 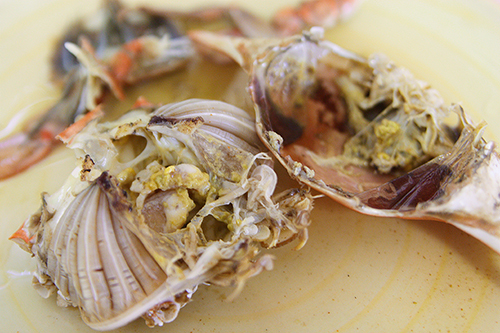 The Vietnamese love to eat all the internal organs and all the bits inside the top shell. They have a lot of flavor. It’s the fun part of eating whole crab. But if this grosses you out, discard it. 4. Break the crab body in half and remove the meat from each pocket. 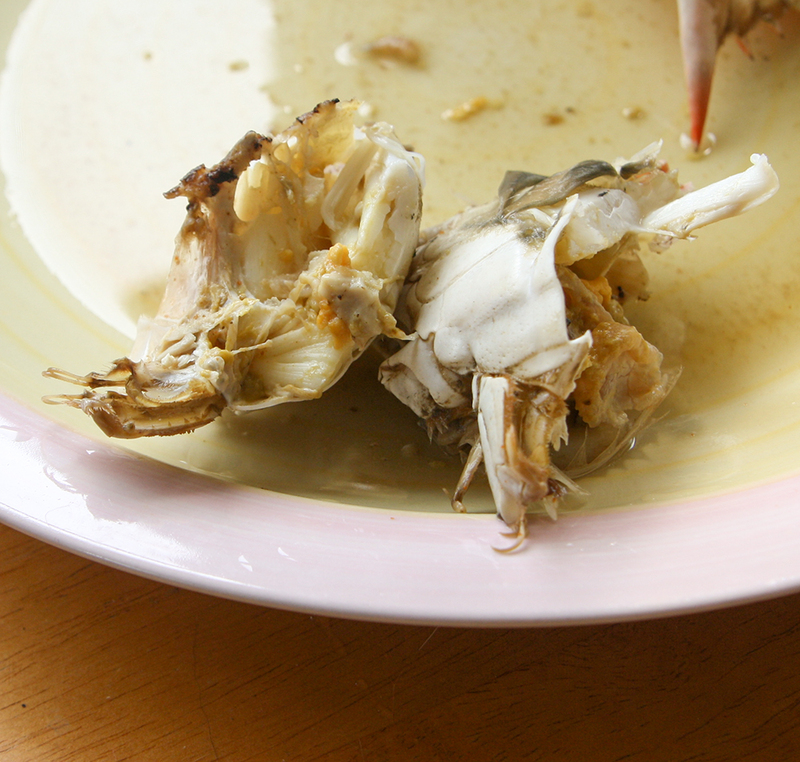 If you don’t like any of the organ bits that linger on the crab body, you can discard them (or eat them). Female crabs may have eggs inside. Toss if you don’t want to eat them. Removing the crab meat should be easy from here on it. Just use your fingers to work them out. I eat as I pick.